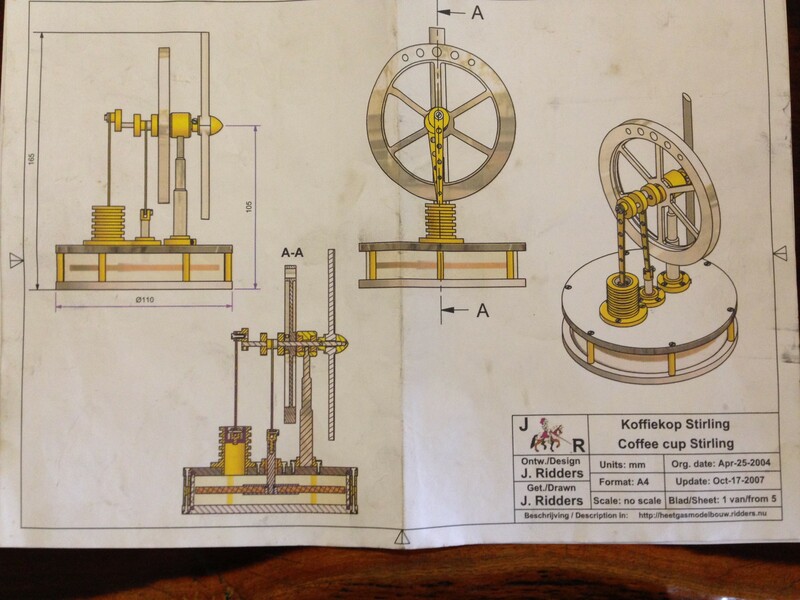 I have been busy for the past week or so making a Stirling cycle engine. It is the Coffee Cup engine designed by Jan Ridders. It is powered by the heat from a coffee cup of hot fluid. Or an ice cube sitting on the top plate! Page one of five of Jan Ridders’ excellent plans. 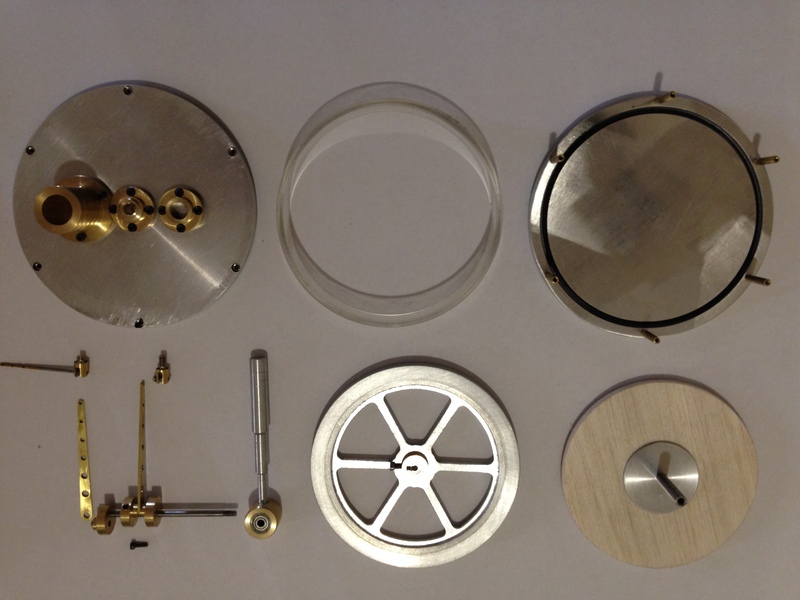 Most of the components of the coffee cup engine. 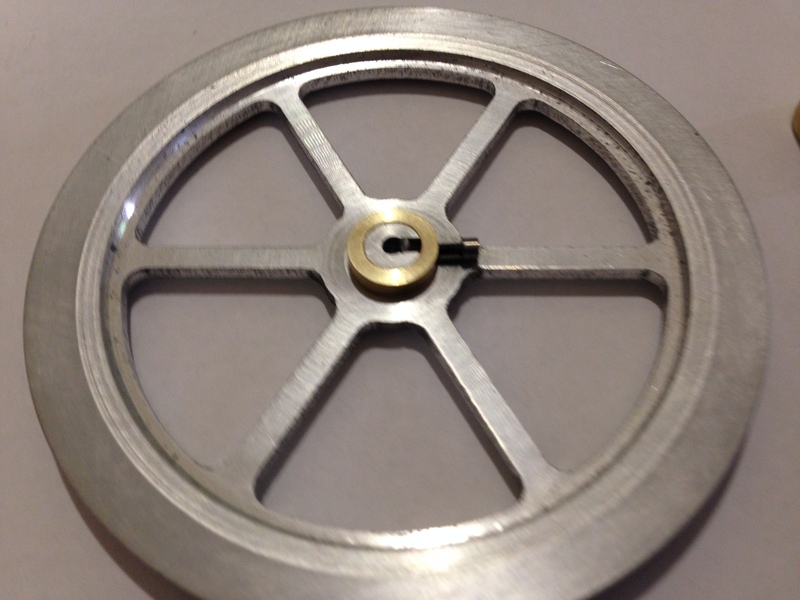 Possible alternative flywheel, roughed out, I will see how it appears with a bit more finishing. Looks interesting? An experiment with engine turning on an aluminium surface, using a “Brownells Engine Turning Kit”, kindly loaned to me by Stuart. The pattern is made with the spring loaded wire brush seen in the picture. 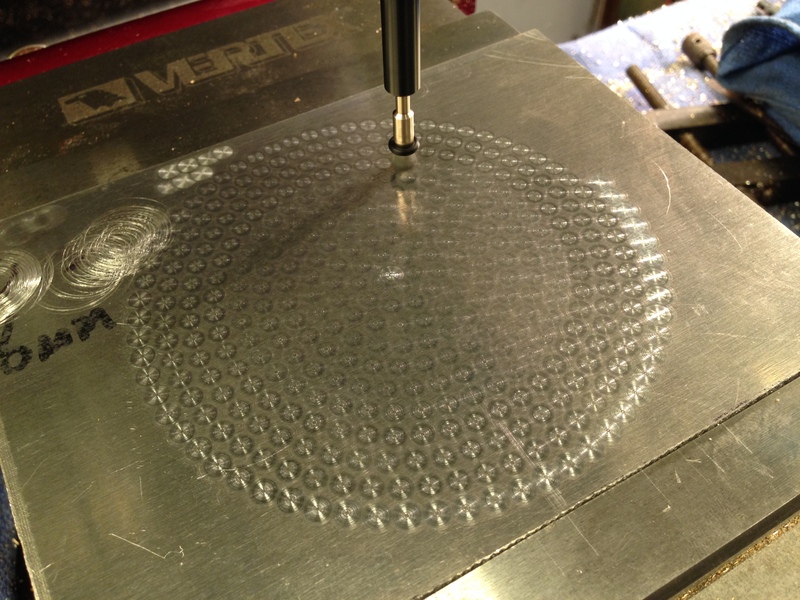 I used this on the upper plate of the displacement cylinder. Lots of tiny fiddly bits. The piston is made from graphite. An interesting material to turn. 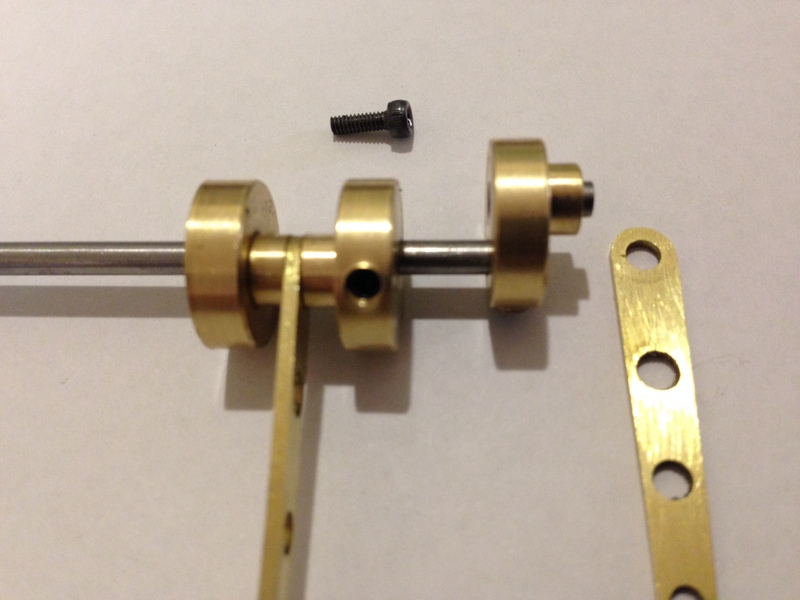 Surprisingly tough, accepting a 3mm internal thread. And presumably self lubricating. Machining it produces black, pervasive dust. SWMBO is not impressed, since my CNC lathe sits in our living room. I might get marching orders for the lathe as a result of this one. I enjoy reading your blogs and seeing what you’ve been up to with your machines. An interest in triple expansion steam engines brought me to your pages, but I’m even more fascinated by your Stirling engine. 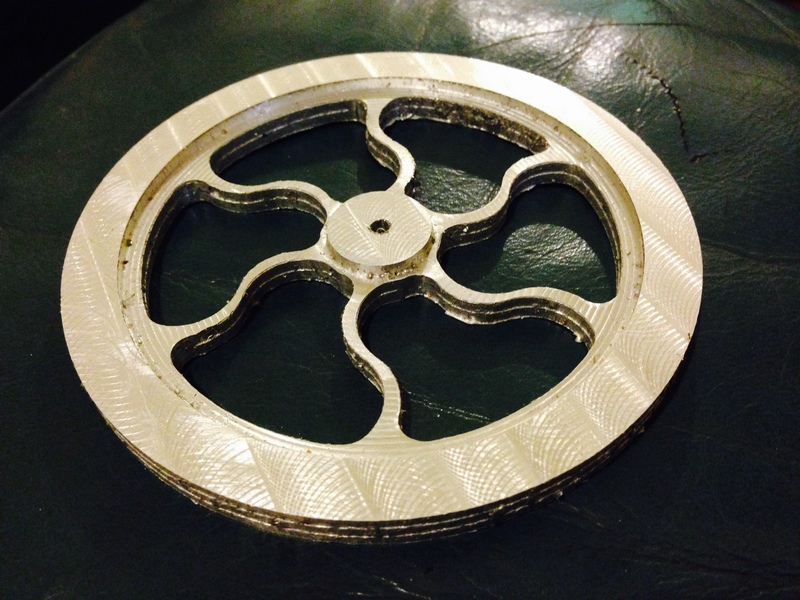 I think the alternative flywheel is very handsome and hope you finish it. I’d advise that you don’t machine graphite in your living room. It is easier to move the lathe than endure the wrath of SWMBO, especially so if you are in close quarters. The CNC lathe is quite small, (Boxford 125 TCL), and I persuaded SWMBO to let me put it in the TV area, so I could learn how to use it in the evenings. I was still working then, but now that I have retired, I suppose that it should move to the workshop. In a quirky sense, I think that she actually liked to have it in the living room. (look what I have to put up with! My eccentric husband! etc etc.) but the black dust might have tipped the scales decisively. I like it too! It must be my convict ancestry.